As far as the eye can see: forest – nothing but forest. A thousand shades of green, interspersed with yellow, brown, red stripes painted by the autumn leaves of high oak, spruce, beech and fir trees. And down at the edge of the forest – like the green seam of a blanket covering the mountain range of the Southern Palatinate region – entire forests of chestnut trees. No, this is not about the chunky horse-chestnut tree casting shadows over beer gardens. It is about the filigree, the warmth and sun loving sweet chestnut of the south. Once planted by the Romans along the Rhine it is today – under the Palatinate dialectal name of “Keschde” – dearly loved and joyfully eaten by the Palatinate people. “Over there is a chestnut forest,” Karlheinz Bosch says. The forester’s gaze is directed at a steep mountain on the other side of the valley. Another green spot in a sea of trees, but they definitely stick out: brightly green speckled chestnut trees with what look like hundreds of exploded hedgehogs sitting in their crowns. 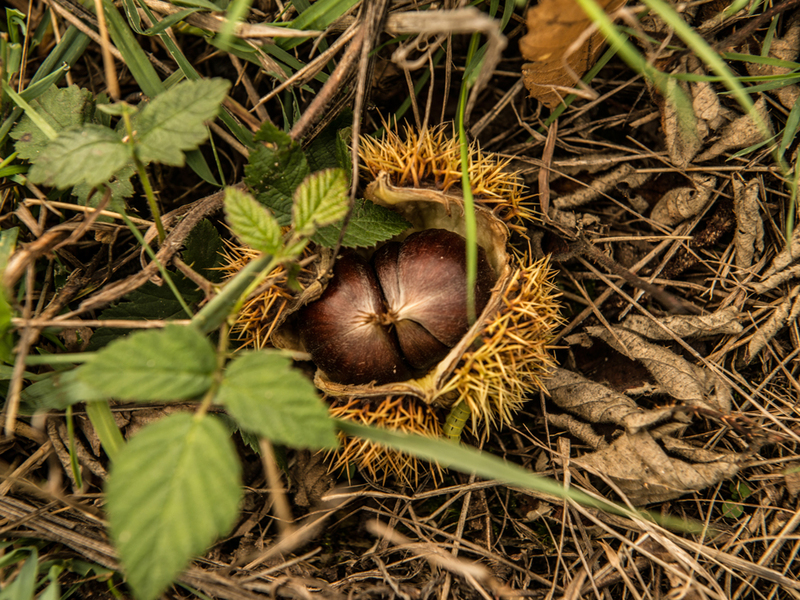 Now in autumn, when the spiky cupules burst and their bulging filling hits the forest ground, it seems as if it was raining manna in the Palatinate region and every child then knows what is coming – “Keschde sammle” (Palatinate dialect for collecting chestnuts). 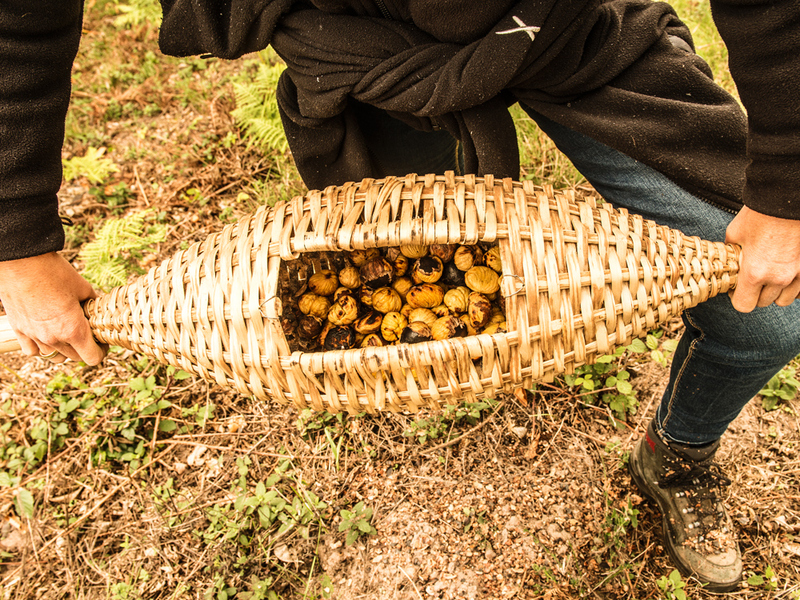 The hunt is on – for the little brown chestnuts which used to be food for the poor and are now considered a delicacy. 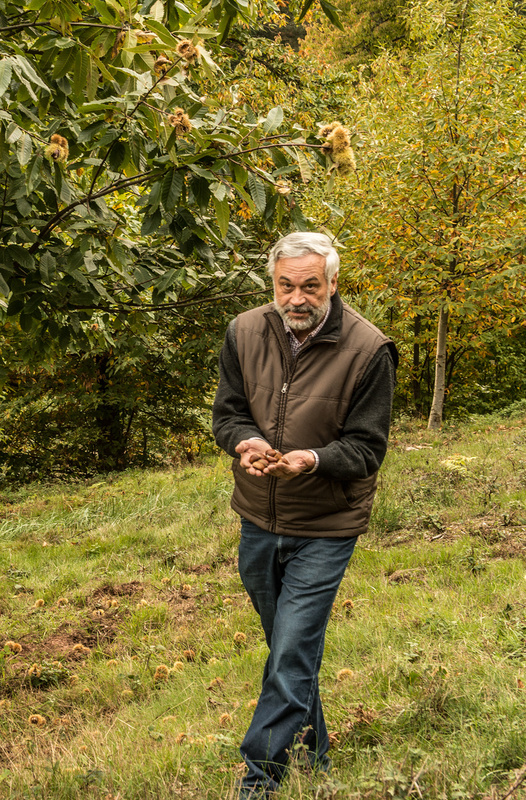 Karlheinz Bosch, too, has been roaming the forests of the Southern Palatinate region every autumn since he was a child in search of the precious “Keschde”. 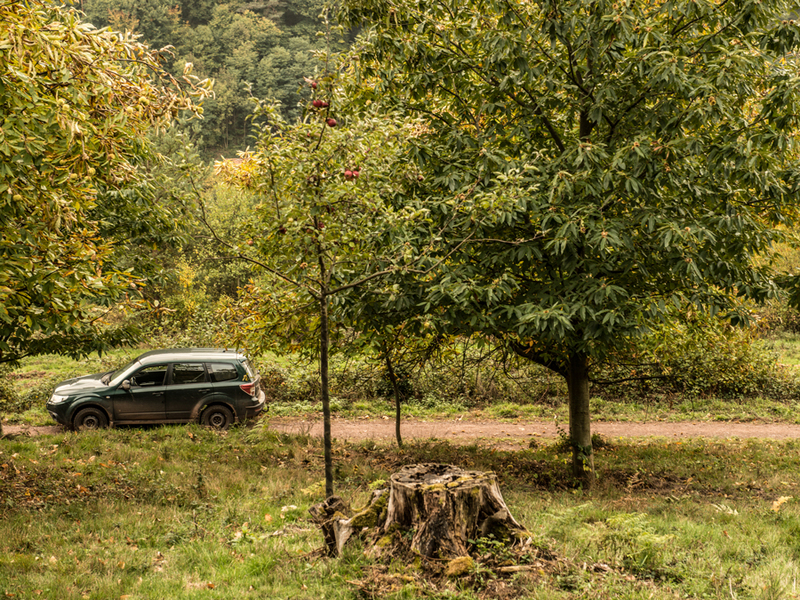 And as a teenager he already knew exactly what he wanted to become later on: a forester. 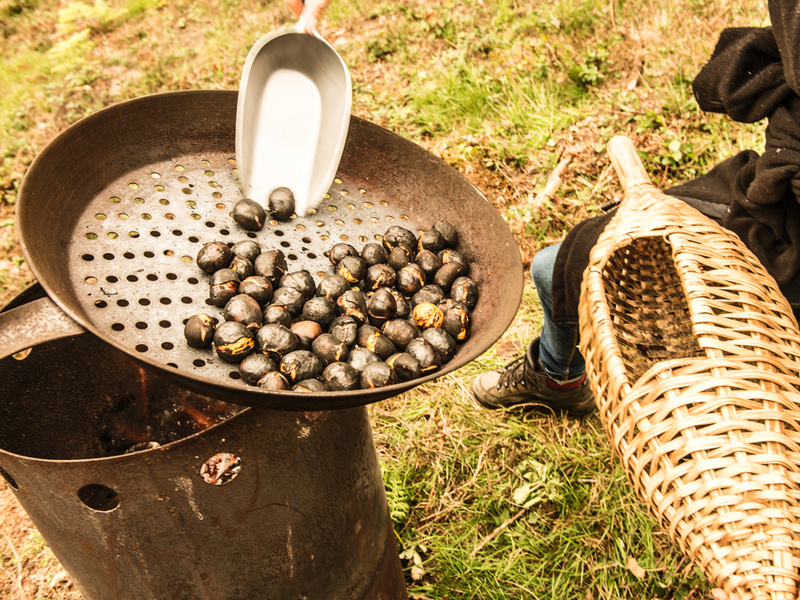 … the chestnuts have to be roasted in a pan. Almost 35 years ago, Karlheinz Bosch moved from his home community Albersweiler to the little village Rinnthal. A small place with a population of about 600 inhabitants surrounded by thick forest and mountains on top of which bizarre sandstone rocks tower up. Since the last sawmill shut down some decades ago and the neighbouring chair factory closed its doors for good, the forest is the community’s most important source of income. This had already been the case 166 years ago, when Rinnthal made history with the “Battle of Rinnthal” – when August Willich’s revolutionary troops attempted in vain to bring the advance of Prussian troops on Landau to a halt. A fistful of “Keschde” … forester Karlheinz Bosch from Rinnthal. Karlheinz Bosch loves the forest. And he lives and works with the forest. Successful silviculture of the community’s forests is his task as well as his passion. 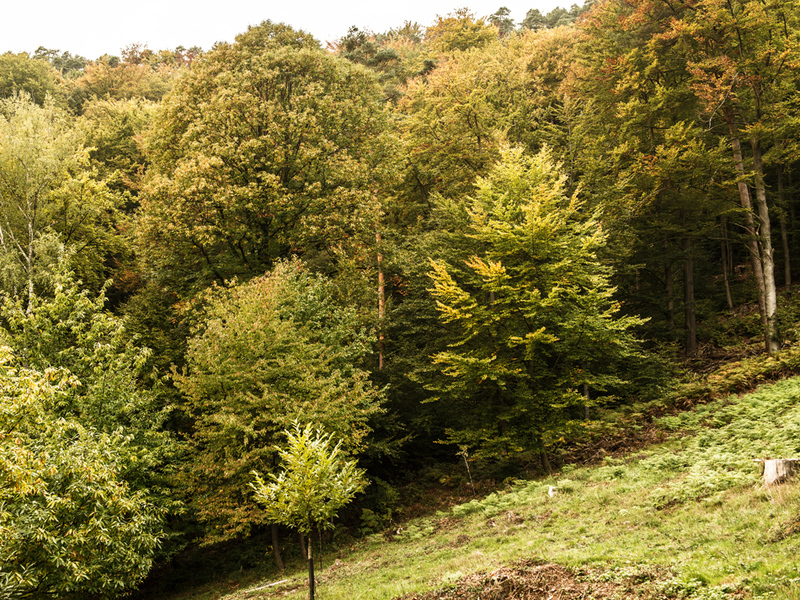 The extensive mixed forests surrounding the village with its big classicist church these days, are a supplier of excellent timber – for the manufacturing of furniture, for the industry, and also for the vineyard poles of tradition-conscious Southern Palatinate wine-growers. The sparkling organic “Federweißer” which Karlheinz Bosch has conjured from the depths of his leaf green four-wheel estate car comes from a wine-growing estate producing organic wines in Böchingen at the Southern Wine Route. 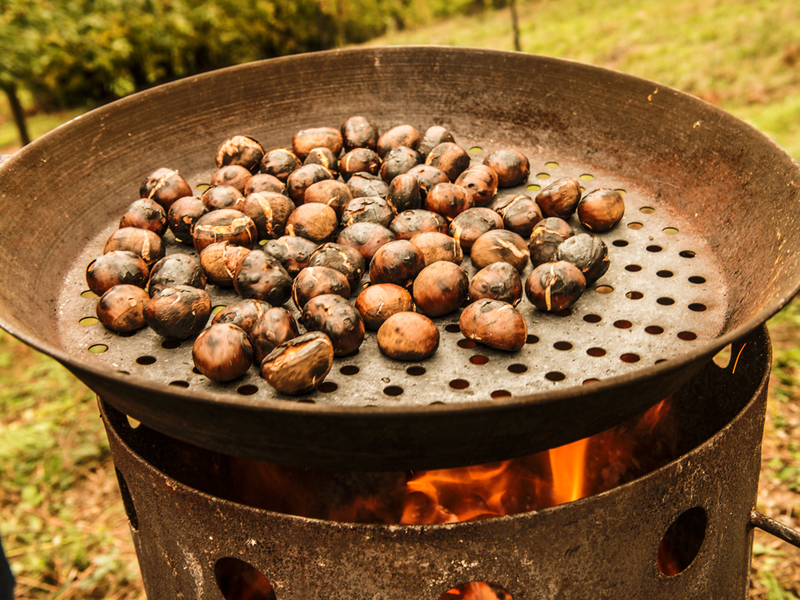 The new wine is a perfect accompaniment to the freshly roasted chestnuts with their nutty flavour. The delicious specimens are roasting over an open fire on a cast-iron plate – having just been collected by his team of the Rinnthaler Wald GmbH at a meadow orchard the size of three hectares situated underneath the Kostenfelsen where the burst hedgehog shells are lying about in abundance. The people of Rinnthal did not reinvent the wheel, but just made something which has been common practice in regions with a wine-growing climate for centuries. 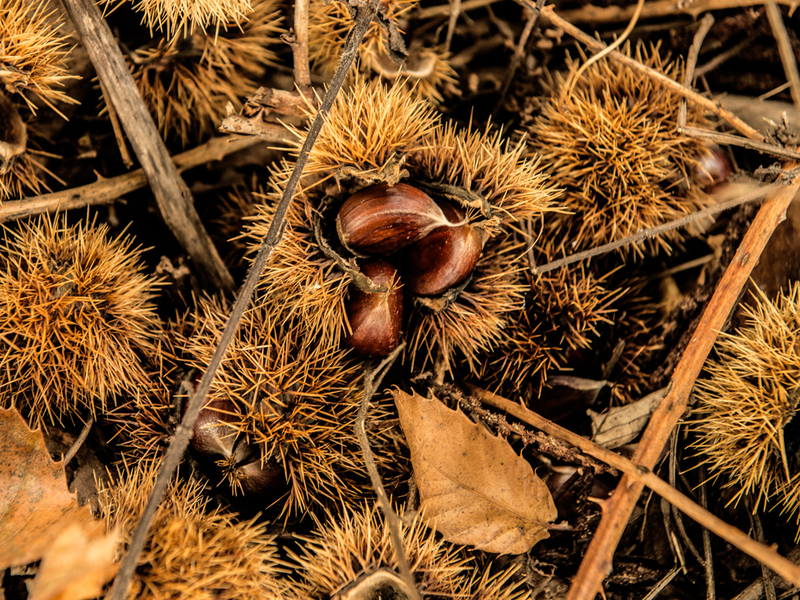 Like in South Tyrol and also like in some of the few warm corners of southern Germany, scions of special cultivars are grafted onto young chestnut seedlings. Nothing else but a sharpened twig of an Italian or French chestnut cultivar which is attached to the cut-off stem of the young seedling. 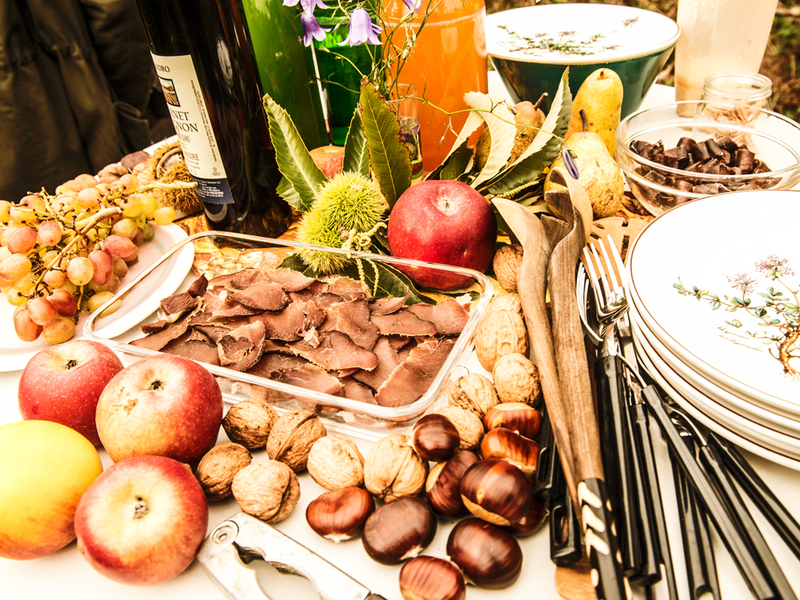 This results in chestnuts which you have seen in the Palatinate region up till now only at Christmas markets. They are twice the size of the classical Palatinate “Keschde” and are even more aromatic. Many of the new chestnut trees from Rinnthal have already reached an impressive size, and the meadow orchards have become a tourist attraction. The municipality of Rinnthal caught on quickly adding a “Maronenweg” (chestnut trail) to their lovingly created network of hiking trails leading directly along the meadow orchard underneath the Kostenfelsen. 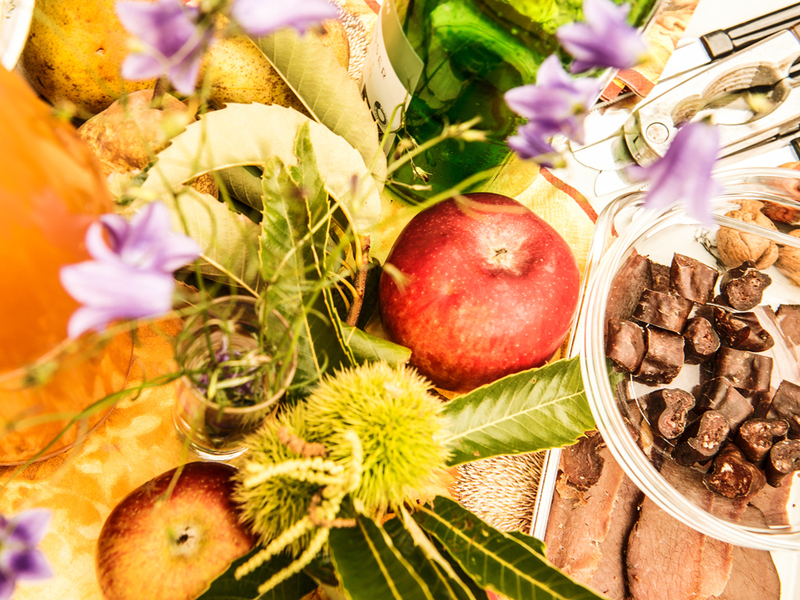 This is a passion that the wild boars share with the cooks of the region. 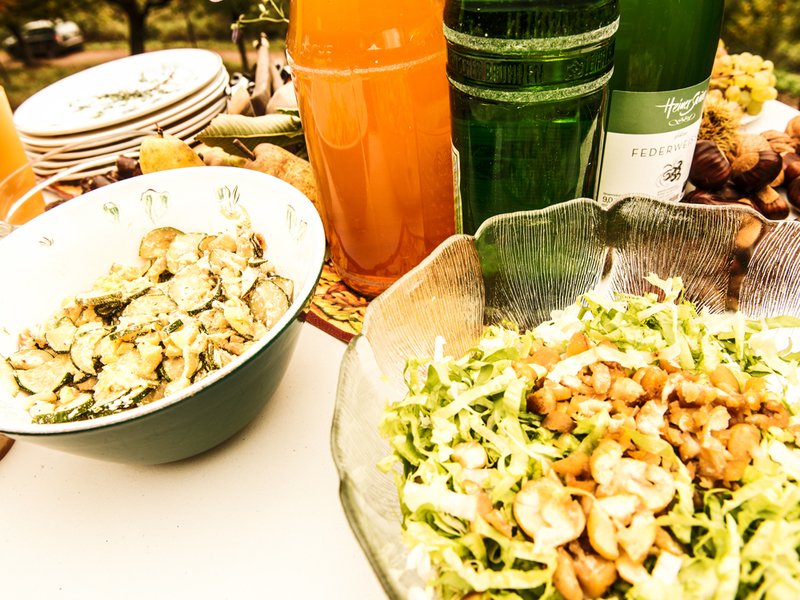 From the beginning of October until the end of November, the restaurants and wine bars along the “Keschdeweg” – the chestnut trail leading the 56 kilometers from Hauenstein to Neustadt – serve hefty Palatinate food like the “Pälzer Keschdebrieh“ (Palatinate chestnut soup), the “Keschdebuckel“ (saddle of pork with chestnuts), or something sweet like “Maronenparfait“ (chestnut parfait) or “Keschdekuchen“ (chestnut cake). 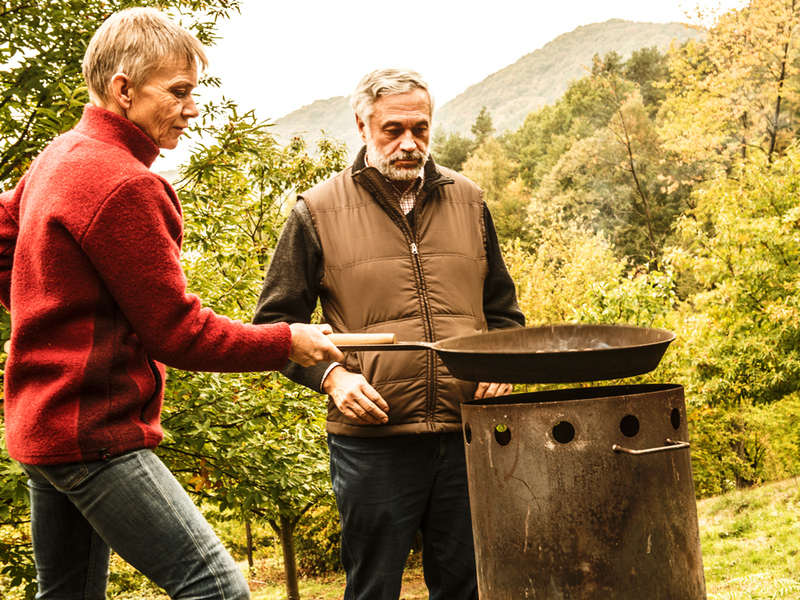 Karlheinz Bosch thinks it is a pity when cooks are compelled to fall back on imported goods from the south because there is a lack of supply. “We can change exactly that – this buried treasure is what we want to unearth.” No doubt this old and new cult of the Palatinate “Keschde” will take on a new dimension in the years to come. The demand for this precious nut is continually increasing, especially among the young, diet-conscious people who perceive the chestnut as a new “superfood”: alkaline, high-energy, low-fat, vegan, with low allergy potential and of course – produced in the region.